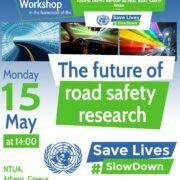 NTUA within the framework of the Fourth UN Global Road Safety Week organised with great success a Workshop titled “The Future of Road Safety Research” on 15 May 2017 at the NTUA Campus in Athens. 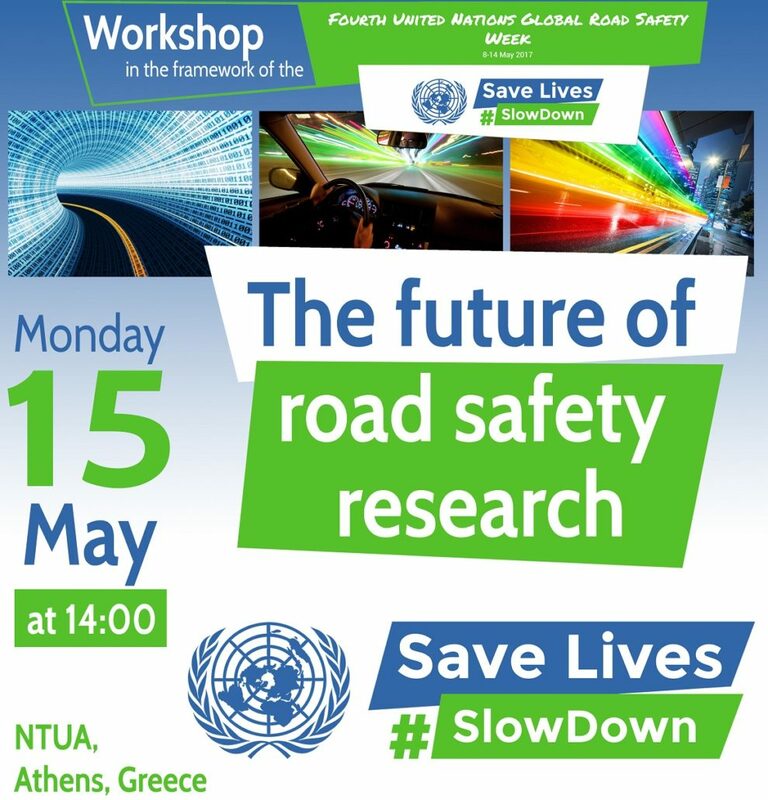 The objective of this Workshop is to highlight through an intensive flow of presentations the main findings and challenges of key road safety research projects carried out within the NTUA Laboratory of Traffic Engineering and to open up the discussion in a round table on the future of road safety research in Greece, in Europe and worldwide. Special emphasis will be given to managing speed for improving road safety in line with the UN Global Road Safety Week objectives.